The Dance-at hon is for everyone from babies to street cleaners to ambassadors and beyond. It is neither an adult nor a children event, it’s a people event. There are no age limits, up or down. You do not need to get dressed up. You probably want to be comfortable because you are going to get very sweaty (in a good way!) and possibly want to lie on the floor! 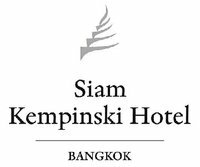 Ben Douglas of Fusion Academy , Capital TV and Tami Fowled will join hands with the public at the brand new Siam Kempinski in Bangkok who have very generously donated their ballroom for the event. The Danceathon is aimed to raise funds for the SCAD Foundation and the Able the Disabled Foundation. The general idea is to get as many different dance styles under one roof. Instructors from Fusion Academy will lead the dances which will change every half hour!!! So you might do 30 minutes of Hip Hop followed by 30 minutes of Jive, 30 minutes of Salsa and so on … right the way through the day. You can choose to do some or all of the dances and you do not need to know how to dance to take part. Nor do you need a partner. There will be lots or prizes and surprises on the day. Prizes for the individual who raises the most sponsorship money, the best dancer in various categories and so on. Whereas this is a massively fun day for everyone, it is also a way to make a difference in so many lives while having fun. Needless to say, none of this would be happening without the generous support of our sponsors, Siam Kempinski, Capital TV and many others.